After what seems like an excruciatingly long time, the first Gilmore Girls: A Year in the Life trailer is finally here. 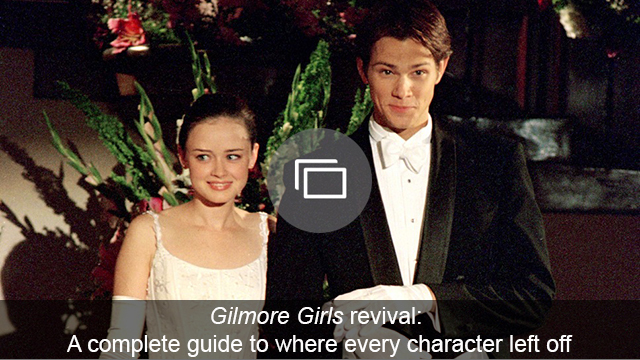 It is filled with two minutes of greatness that if you don’t get at least a little bit teary-eyed watching, then you clearly have no feelings and aren’t a true Gilmore Girls fan. There are so many spoilers throughout the revival’s trailer, and as exciting as it is to see Lorelai, Rory, Luke and Emily back in action, can we talk about Jess, Dean, Logan and Sookie? It is glorious once again to see Milo Ventimiglia, Jared Padalecki, Matt Czuchry and Melissa McCarthy getting back into character. Ever since it was announced GG would return with four 90-minute episodes, fans have been wondering what these four have been up to and what they’ll see from them when the revival debuts. Well, the trailer definitely gives us some insight into what to expect from them. With that, let the analyzing and theorizing begin. 1. Is Jess still in publishing? If you’re all about Jess and Rory ending up together, then this brief clip of them talking is probably making you swoon. Not only are the two talking about Rory’s lack of life and career, Jess tells her, “You’re still a contender.” When didn’t he try to give her advice or inspire her to do better for herself? Then, there is the window behind Rory. Only part of the words at the bottom of the window are clear, but it reads, “Stars Hollow” and “publishing since.” Also, take note of the computers behind Jess. Does this mean he is still writing and publishing? Does this mean he is now writing in Stars Hollow? Or does this mean Rory has taken a job at Stars Hollow’s local newspaper? Whatever the case, it sure seems like one or both of them are living out their writing dreams in Stars Hollow. There is a very quick glimpse of Dean in the trailer. It’s so quick, in fact, that grabbing a GIF of him was pretty much impossible. 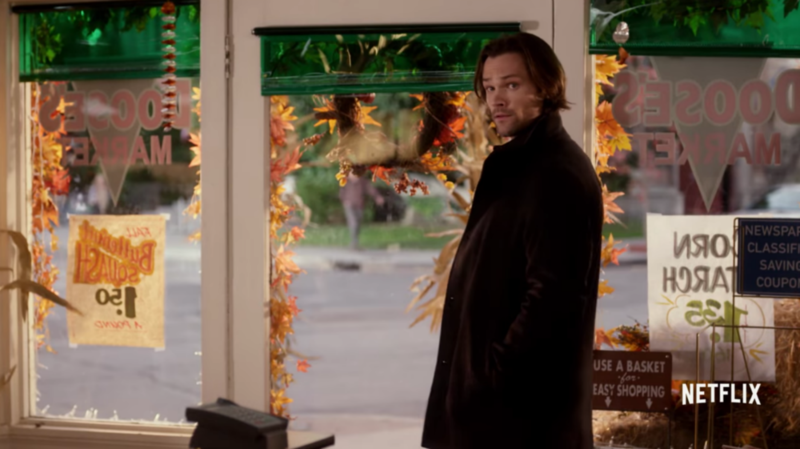 Anyway, Dean is standing inside Doose’s Market, because of course he is. It’s only appropriate, especially since that is where Rory and Dean shared their first kiss. Now, as to who Dean turns around to look at? That remains unclear, but maybe it’s Rory? 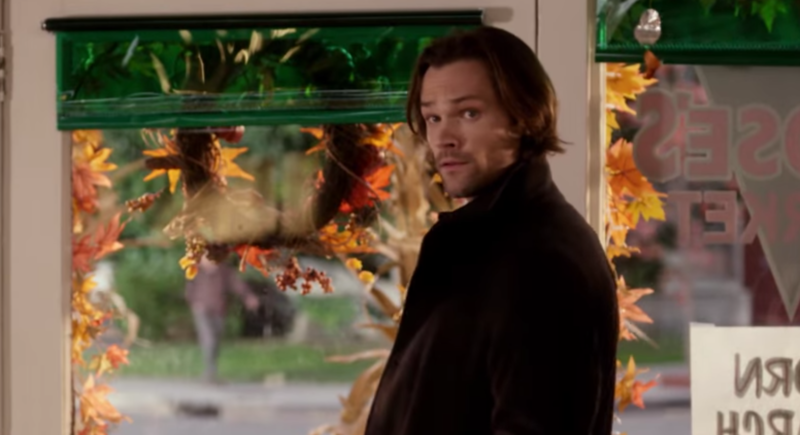 Also, he is clearly featured in the final episode of the revival (“Fall”) based on all those leaves around the door and the windows of Doose’s. If he is in the last episode, does this mean good things for Rory and Dean ‘shippers? It was pretty traumatic when McCarthy almost didn’t return as Sookie. Thankfully, she is back and still as hilarious as ever. She is also making dirty jokes in the trailer. After squirting frosting from a piping bag, she says, “Wow, that was pornographic.” Yes, Sookie. Her delivery is always spot-on. Now, as to what she is decorating: Is that a wedding cake? Is it for Rory and whomever she may end up with? Is it for Luke and Lorelai? Is it for someone else? Who knows, but it sure seems likely that Sookie is putting her chef skills to good use by making the best possible wedding cake ever. Like Dean, fans have to pay attention or they might miss Logan at the end of the trailer. If you did miss him, here is a screen-grab. First, that smile will make Logan supporters weak in the knees. 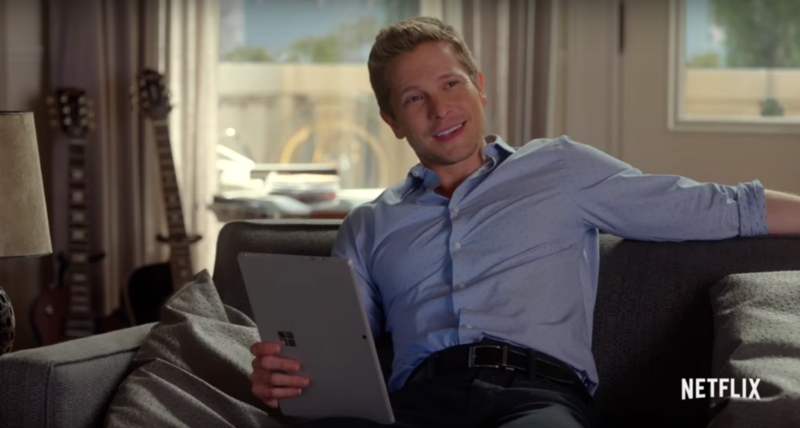 Second, he sure looks all professional chilling with his tablet on a couch in that spiffy dress shirt. Also, based on the two guitars behind him, it appears he’s into music. Is this Logan’s apartment in San Francisco? If you recall, at the end of the series, Logan was set to go off to the West Coast for a job. Wherever he is and whatever he is up to, Logan sure looks good and clearly hasn’t lost his swagger. Now, watch the trailer for yourself and get those tissues ready because die-hard GG fans will definitely shed a tear or two.